East Timor is to take two of the new Pacific Patrol Boats, which will lift total production up to 21. These new ships are being be produced by West Australian shipbuilder Austal and are called the Guardian Class. The keel for the first was laid in July. Prime Minister Malcolm Turnbull announced the additional two vessels during the visit of East Timorese Prime Minister Mari Alkatiri to Perth at the weekend, where they attended the Asia-Pacific Regional Conference. Prime Minister Alkatiri earlier visited the Austal yard at Henderson, outside Perth. In bilateral talks, the two prime ministers discussed the Australia-East Timor relationship and regional security. 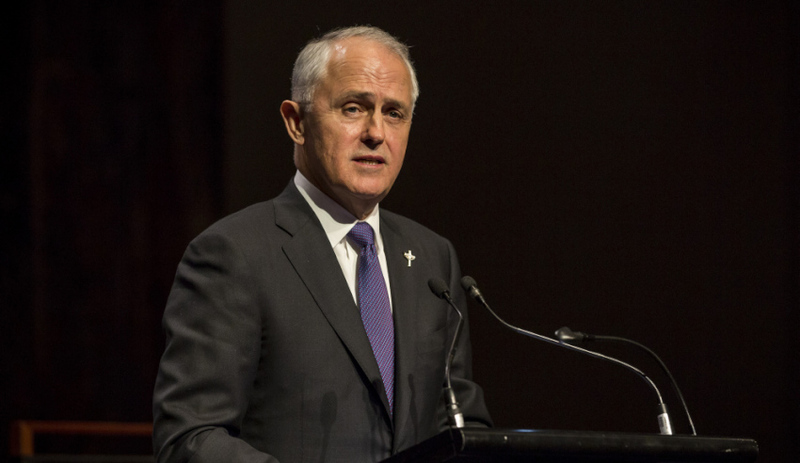 Prime Minister Turnbull said maritime security remained a high priority for both countries. “Prime Minister Alkatiri has agreed to Australia’s offer to provide Timor-Leste with two new Guardian Class Patrol Boats, packaged with long-term training, advisory, maintenance, infrastructure and other support,” he said. Chief executive David Singleton said the Pacific Patrol Boat program was intended to aid regional security in the south Pacific. Helping East Timor secure its maritime border was an example of defence diplomacy fostering close relations between countries in the Asia-Pacific region. “The first of the current order of Guardian Class patrol boats is already well into its construction phase and is running on time and on budget. Handover of the first vessel is projected to be in the third quarter of CY 2018,” he said. Singleton said Austal was working on other export opportunities for Guardian Class patrol boats to help sustain Australian shipbuilding, which has already delivered more than 40 patrol boats to international customers. Austal was awarded the Pacific Patrol Boat contract in May 2016. It is worth $305 million for the original 19 vessels and associated in-service support. The 39.5-metre, steel-hulled Guardians will be delivered to 13 nations from late 2018 as part of Australia’s $2 billion commitment to regional maritime security through the Pacific Maritime Security Program. Based on the current build schedules, delivery of the two vessels for East Timor will occur in June and September 2023. The original Pacific Patrol Boat Program was launched in the mid-1980s with 22 vessels donated to 12 regional nations for use by their militaries, coast guards or police forces for border security, disaster relief and fisheries protection. The vessels were built by Australian Shipbuilding Industries and delivered between 1987 and 1997, but are now reaching end of life.